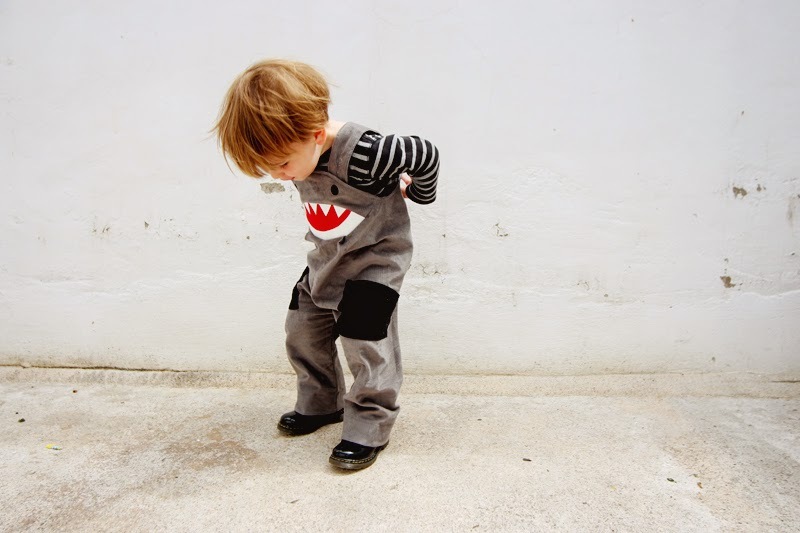 What else does a toddler with a shark suit need? Shinny black Dr Martins of course! I can't tell you how many compliments Wilf gets when he wears these about our neighbourhood. We've even not been too disappointed when the sun isn't shinning so the Dr Martins can come out and puddles can be splashed in. 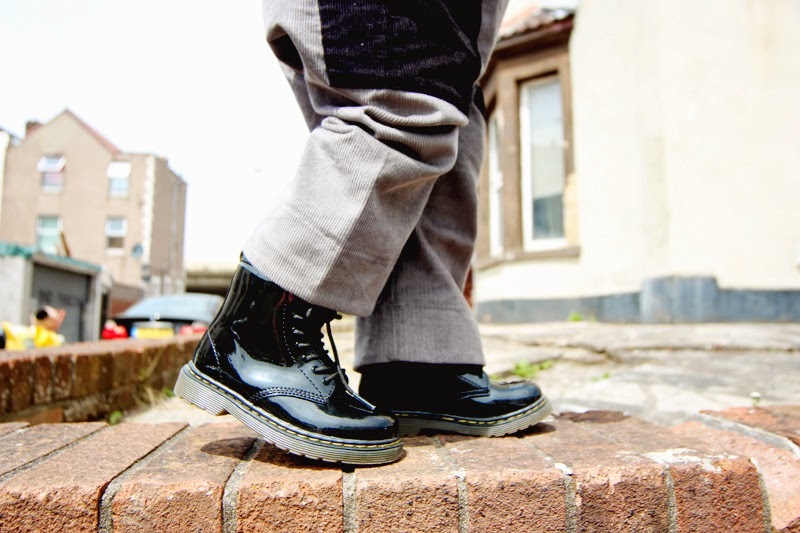 What's cool about these kiddo docs is that they are actually done up with zips at the side so once you adjusted the laces to be right you don't have to do them again and again and they are really easy to get off and on. Perfect option for the colder months when wellies might not be appropriate. I'm pretty sure one of these pictures needs to actually be framed right? How cute are they! 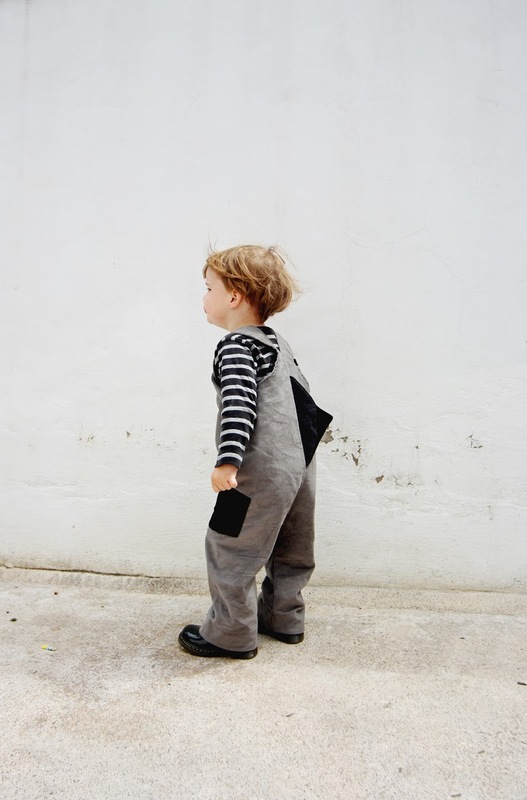 I have never seen dungarees like those before. 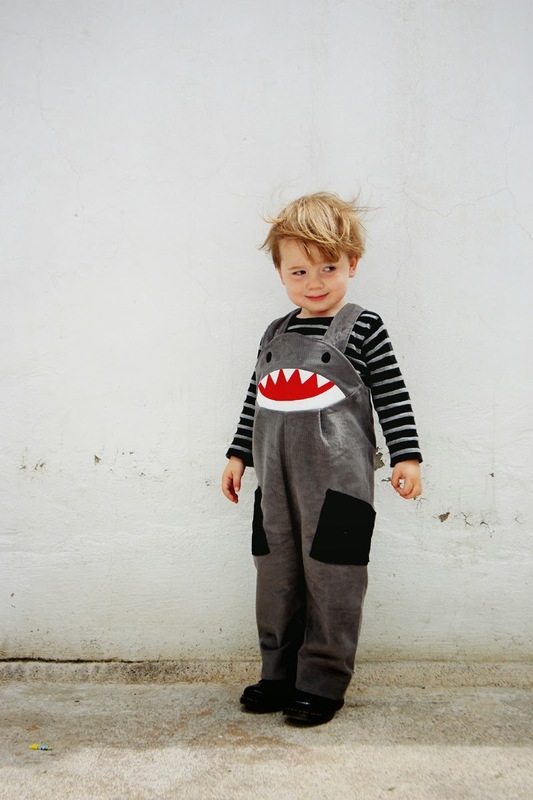 Adore his shark outfit and those Dr Martins. I really need to buy my kids some of these. 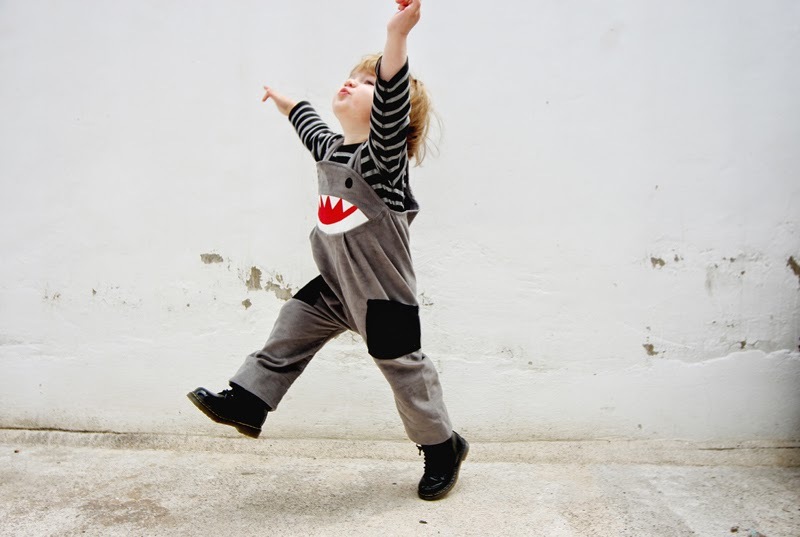 how fab is that shark outfit?! My girls have DM's - they're great and hard wearing! I swear Wilf is THE most stylish child! OMGosh I LOVE those docs! 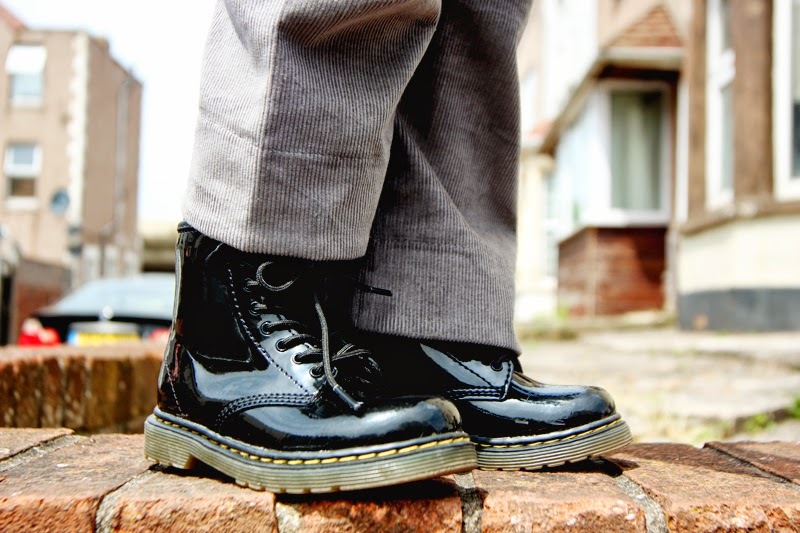 I've wanted a pair of Dr Martens since I was at college and never got any. I've now got a flowery pair on my wishlist as my reward for when I get to my target weight! 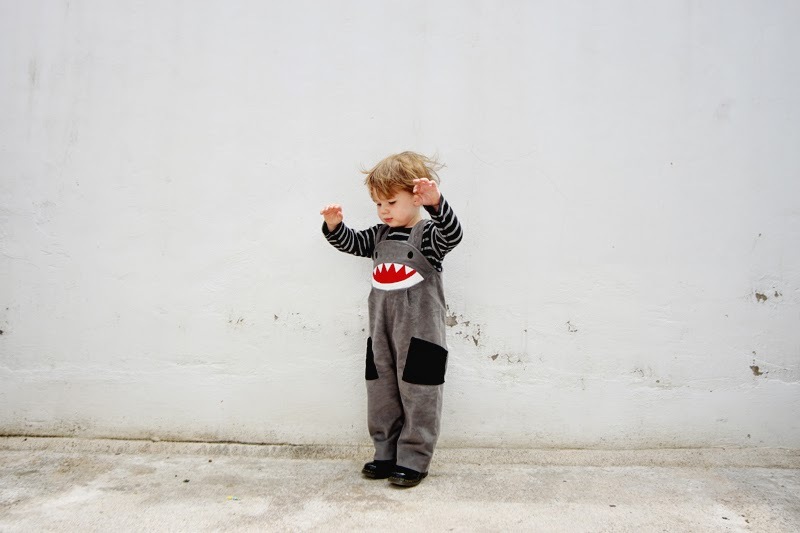 Brilliant shark outfit!! I love those boots too, lovely and shiny! Great photos! Omg that is gorgeous - and what a handsome model. Girls Coral Garland Kaftan - this is gorgeous!! Oh I wish I had a shark suit! I think this is fab and I love the Docs too. He is THE coolest dood ever - fact! Such a great suit! And the boots are brilliant. I never even considered you could get them toddler-size! Love the Boys Pale Blue Long Sleeve Grandpa Shirt :) so adorable! I'd love this for my little girl - http://www.sunuva.com/girls/dresses/girls-ditsy-flutter-dress - she would look adorable in it!